TAMPA, Fla. – A veterinary surgeon at Tampa Bay Veterinary Specialists & Emergency Care Center (TBVSECC), a part of Pathway Vet Alliance, performed a life-saving surgery Wednesday on Giuseppe, a 7-month-old Yorkshire Terrier puppy who suffers from a rare congenital condition called atlanto-axial instability (AAI). Giuseppe was rescued in early June by Sue Rogers, founder of The Mia Foundation, a 501(c)3 non-profit organization dedicated to helping animals born with birth defects. Rogers was contacted by a breeder who first noticed Giuseppe’s AAI. After driving 5 hours to pick up Giuseppe, Rogers found him unable to stand, sit or walk. Rogers, who frequently rescues animals suffering from AAI, immediately braced Giuseppe’s neck and started to see minor improvement. One-week later Roger’s made another trip to the breeder to rescue Giuseppe’s brother, Frankie, who’s health also began rapidly deteriorating due to AAI. In addition to treating Giuseppe on Wednesday, Dr. Matt Oakes, the surgery department head at TBVSECC, also performed the same surgery on Frankie in July and three other pets rescued by The Mia Foundation over the past year. 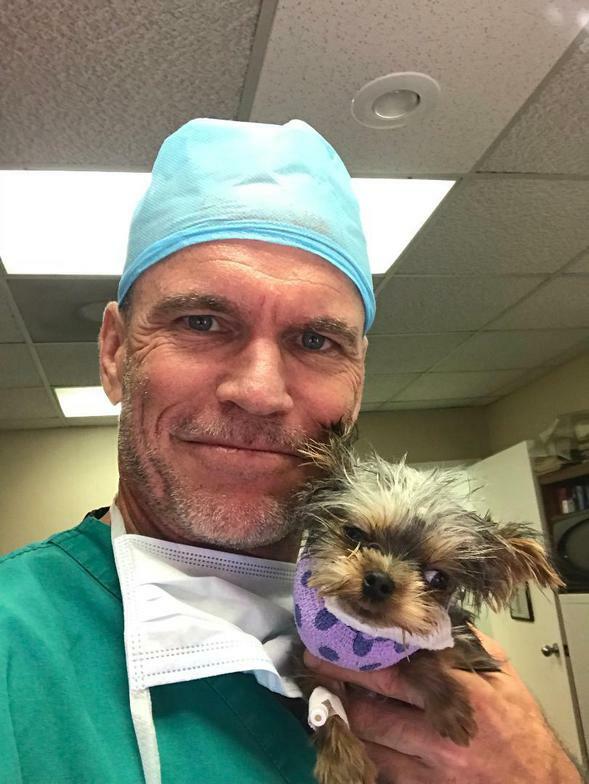 Rogers began flying pets from New York to Tampa to receive treatment by Dr. Oakes after veterinarians from nearby hospitals in New York were unable to perform the needed surgeries on dogs deemed too small. Fixing Giuseppe’s condition required a 1-hour surgical procedure, where Dr. Oakes stabilized his neck by placing multiple small pins in the first two vertebrae of the neck, then encasing the pins in bone cement to stabilize the spine and relieve pressure on his spinal cord. Giuseppe is scheduled to fly back to New York approximately one week following his surgery and is expected to enjoy a more normal life in a new forever home. The Mia Foundation was founded in 2012 and has since helped over 500 animals born with debilitating birth defects, including cleft palates, spinal deformities, missing limbs, heart conditions and more. The charity is headquartered in Rochester, New York and helps pets across the U.S. through an extensive network of volunteers and foster parents. For more information, visit http://www.themiafoundation.com/. 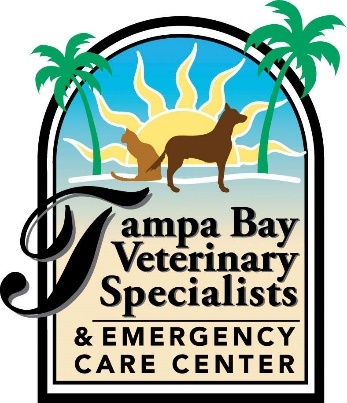 Tampa Bay Veterinary Specialists & Emergency Care Center, established in 1982, was the first multi-specialty veterinary hospital on the west coast of Florida. Today, Tampa Bay Veterinary Specialists & Emergency Care Center has grown to include advanced and specialized veterinary services in Dencotistry, Dermatology, Emergency & Critical Care, Internal Medicine, Ophthalmology, and Surgery. With a dedicated veterinary healthcare staff of 125+, Tampa Bay Veterinary Specialists & Emergency Care Center provides 24-hour compassionate care seven-days-a-week to over 13,000 patients annually. Learn more at https://www.tbvsecc.com/. values. Learn more at www.pathwayvets.com.